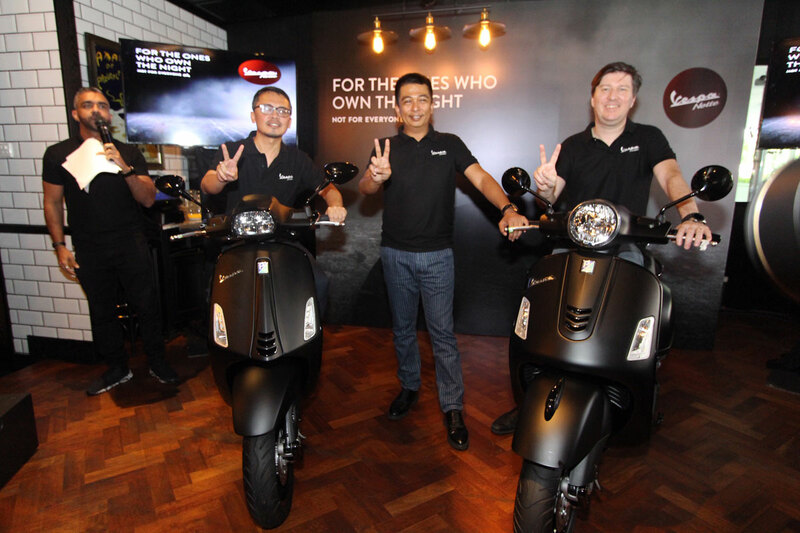 The exclusive Vespa Notte Edition was introduced to Malaysian shores today, officiated by (from left) Nazman Yusof, Head of 2-Wheel Division, Naza Automotive Group; Farouk Faisal, COO Naza Premira Sdn Bhd; Pierre Sainton, Head of Business Development, Piaggio Asia Pacific. 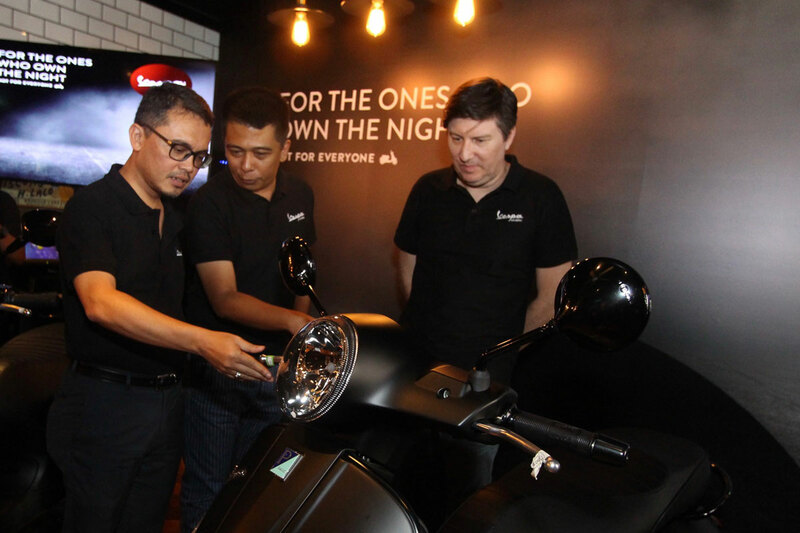 (From left) Nazman Yusof, Head of 2-Wheel Division, Naza Automotive Group; Farouk Faisal, COO Naza Premira Sdn Bhd; Pierre Sainton, Head of Business Development, Piaggio Asia Pacific officiated the launch of the Vespa Notte Edition today in conjunction with Valentine’s Day. The exclusive Vespa Notte Edition is now available in two variants; Notte GTS Super 300 ABS and Notte Sprint 150 i-Get. The Vespa Notte Edition today joins the Vespa brand’s timeless collection of iconic scooters as the brand celebrates its 72nd Anniversary this year. Befitting its name “Notte” which is the Italian word for “night”, the Vespa Notte special series exudes a mysterious and elegant allure and is made for those who love attention to detail. 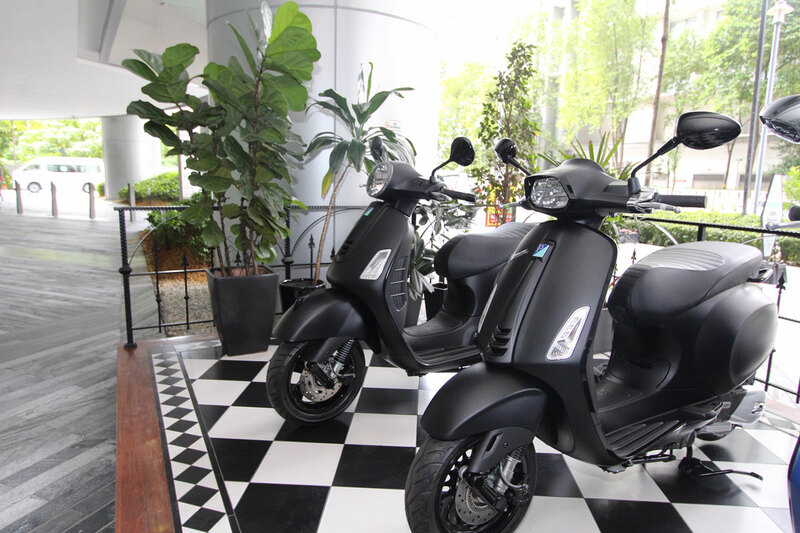 KUALA LUMPUR, 14 February, 2018 – Naza Premira Sdn Bhd, official distributor of the Vespa brand in Malaysia is back in black with trendy and stylish Vespa Notte Edition in conjunction with Valentines’ Day. Available to the Malaysian market in two variants; Vespa Notte GTS Super 300 ABS and Vespa Notte Sprint 150 i-Get ABS, the exclusive Vespa Notte special series was crafted based on the technical and mechanical foundation of the most recent large and small frame Vespa scooters. Befitting its name “Notte” which is the Italian word for “night”, the Vespa Notte special series exudes a mysterious and elegant allure, and is made for those who love attention to detail. Characterised by total black graphics, the Vespa Notte’s “night-time” style pairs its beautiful and sleek new opaque black chassis with glossy black details including mirrors, ornaments like its classic “tie” on the front shield, handlebar ends, passenger handle and the extractable footpegs of the GTS Super Notte. 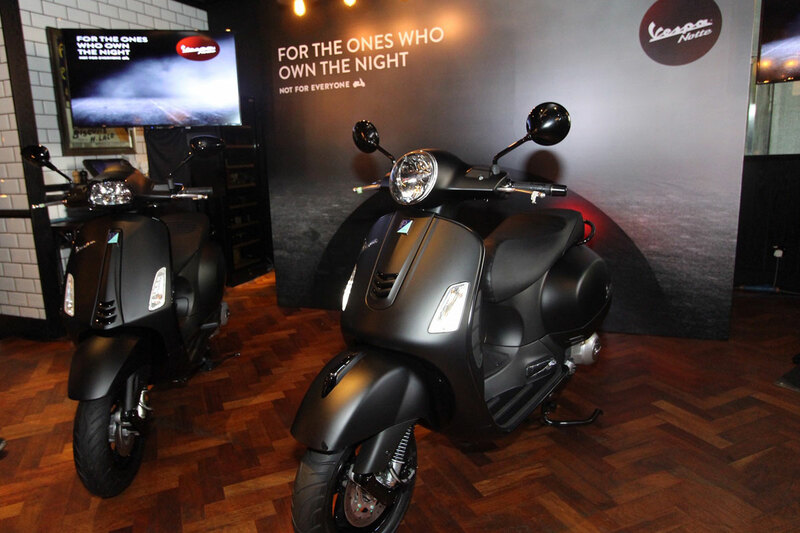 Additionally, the Vespa Notte Edition comes with refined details including a saddle dedicated to each model with the logo placed on the rear shield, and glossy black rims and muffler guard. Vespa scooters have always been a symbol of love and freedom. Picture this – you and your significant other touring around town on a stylish Vespa scooter while feeling the wind in your hair. With the introduction of the Vespa Notte Edition, you and your significant other can recreate Audrey Hepburn and Gregory Peck’s iconic romantic scene from Roman Holiday as they toured around Rome on a Vespa scooter on your Valentines’ date, but this time with a touch of mystery and elegance with the Notte Edition’s sleek black build. The Vespa Notte GTS Super 300 ABS is the perfect blend of nocturnal style and sporting character of the Vespa GTS Super. Equipped with four-stroke single-cylinder Quasar engine with electronic injection, 4-valve distribution and liquid cooling, the GTS Super Notte 300 is capable of putting out 15.6 kW at 7,750 rpm and a maximum torque of 22 Nm at just 5,000 rpm. The Notte GTS Super 300 ABS is also equipped with environmental-friendly features such as reduced fuel consumption and emissions. 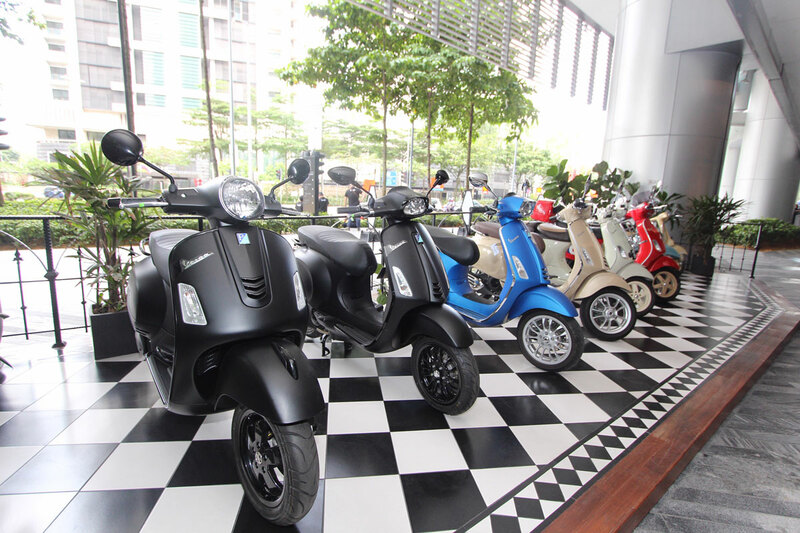 Truly the top of its category in terms of performance without compromising its safety, the powerful and exclusive scooter also comes with double channel ABS System and Anti-Slip Regulator (ASR) safety system making it the perfect road companion to manoeuvre through the congested Malaysian city traffic effortlessly. As for Malaysians with a strong personality with the desire to be noticed, the Vespa Notte Sprint 150 i-Get ABS is a world style icon and symbol of the Italian lifestyle built on elegance, donning the charisma of the Vespa tradition. Powered by a cutting-edge 150 cc single-cylinder, four-stroke i-Get engine equipped with electronic injection and 3-valve distribution, the remarkable Sprint Notte 150 puts out 9.5 kW at 7,750 rpm and a torque of 12.8 Nm at 6,500 rpm, giving the lightweight scooter a particularly lively acceleration. The Notte Sprint 150 i-Get ABS was also engineered with a specially detailed exhaust and transmission casing inner structure to provide a smooth, quiet and comfortable ride. Starting at RM29,000 and RM17,700 respectively, the exclusive, sleek and elegant Vespa Notte GTS Super 300 ABS and Vespa Notte Sprint 150 i-Get ABS are now available for viewing at all authorised Vespa dealerships and outlets nationwide.